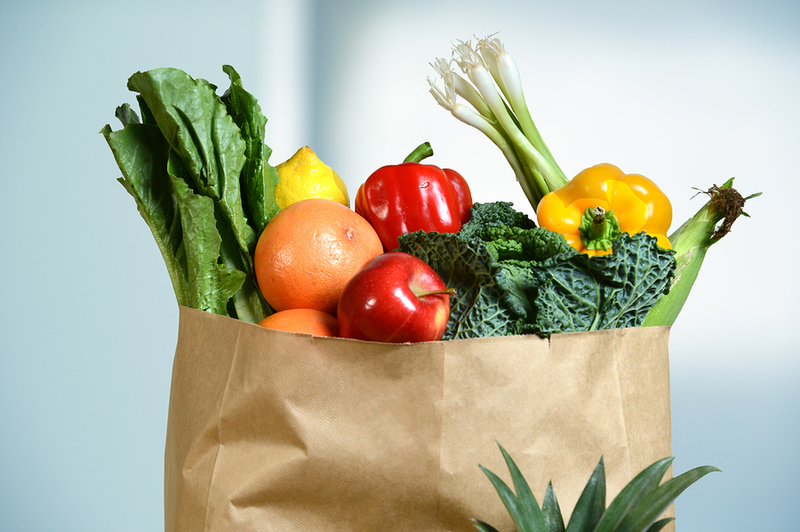 Avoiding the Dirty Dozen: Is it Worth the Cost? Buying organic can get expensive quickly. Although Americans reportedly only spend 6.6% of their household income on food (that’s less than any other country in the world), the USDA estimates that organic food can cost anywhere from 10-30% more than its conventional, mass-produced alternatives. The Environmental Working Group publishes a list of Dirty Dozen each year (a recommendation of what to buy organic based on the fruits and vegetables that contain the highest number of pesticides) and before putting their recommendations into action I wanted to crunch some numbers to understand what the cost of doing so would be for the average American family. What’s the Cost of Buying Organic? As it turns out, the median U.S. annual household income is around $50,000, so let’s do the math. That’s only $275 on food a month which sounds pretty low to me. But since we’re using these numbers, let’s compare that number with what it would cost if you purchased 100% of your food organic. We’ll choose a number in the middle of USDA’s estimated range and say that the cost of organic food is 20% more than conventional. With these calculations, the American family with an average household income who buys all organic food versus conventional is paying somewhere in the ballpark of $660 more per year. That’s an additional $55 per month. With the average Starbucks beverage spend per customer around $4.30, that’s comes out to a few lattes per week. So is it worth the cost? It may be helpful to consider the costs of not buying organic before making your decision. My husband and I talk a lot about the cost/benefit tradeoff of purchasing organic food. One one hand, food is one area that consumes a significant percentage of our household family budget each month. But on the other hand, I tend to have a longer term perspective on food. Health care costs are expected to rise nearly 7% this year alone and the cost of health care now exceeds the cost of groceries for U.S. families. 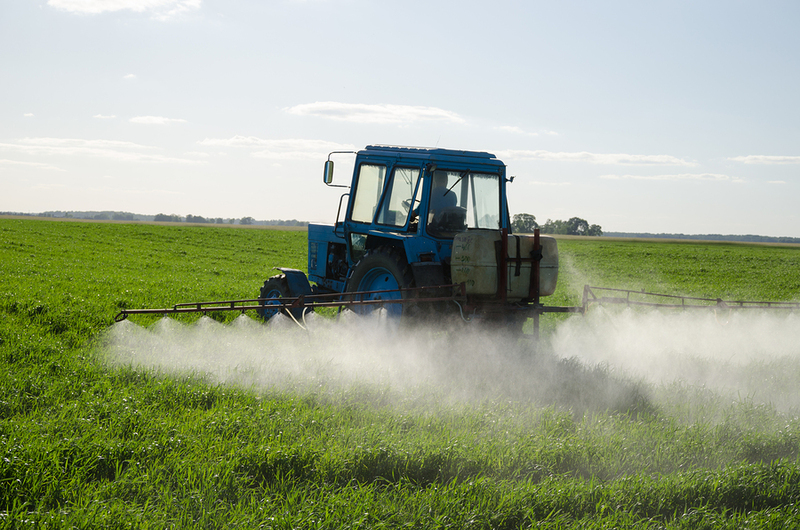 Additionally, pesticide contaminated food can lead to various health problems including birth defects, nerve damage, cancer, and other effects of exposure over time. Plus, some pesticides are known to cause unique health risks to children since their bodies are still developing, and can permanently alter the way the biology of their bodies. So how I’ve started looking at it this way – not only is the food I purchase today filling our bellies for the week, but it’s also setting us up for a healthier future and lower health care costs and fewer health problems in years to come. Still, for most families, it’s not realistic to buy all organic, all of the time. Because not only are most of us trying to stay within a budget, but most of our stores don’t have organic options for every single thing on our grocery list. So here’s how I strike a balance. I use the findings from Environmental Working Group to avoid buying the fruits and vegetables with the most pesticides, also called “The Dirty Dozen.” I do like to buy as much organic produce as I can because not only am I feeding my family food that is clean and healthy, but when I make a purchase I’m also voting with my dollars to support sustainable food systems and farmers that do not use these harmful pesticides. 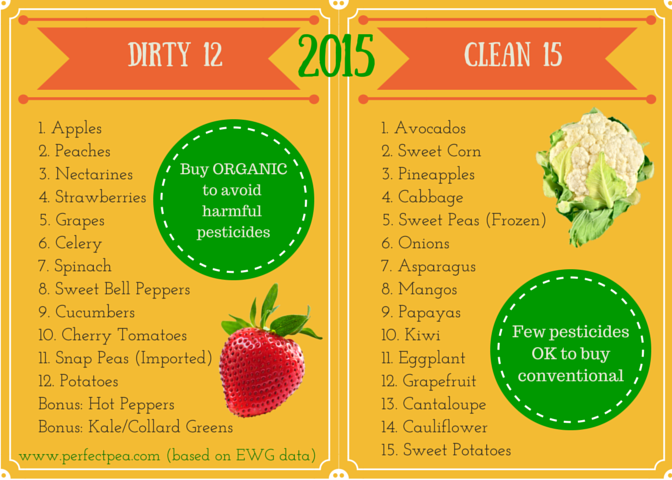 I’ve created a printable list of the Dirty Dozen so you know which fruits and veggies to avoid, along with the Clean Fifteen, so you know which ones are the least contaminated. Be sure to enter your email address and grab a printable copy! Thank you for sending those lists! 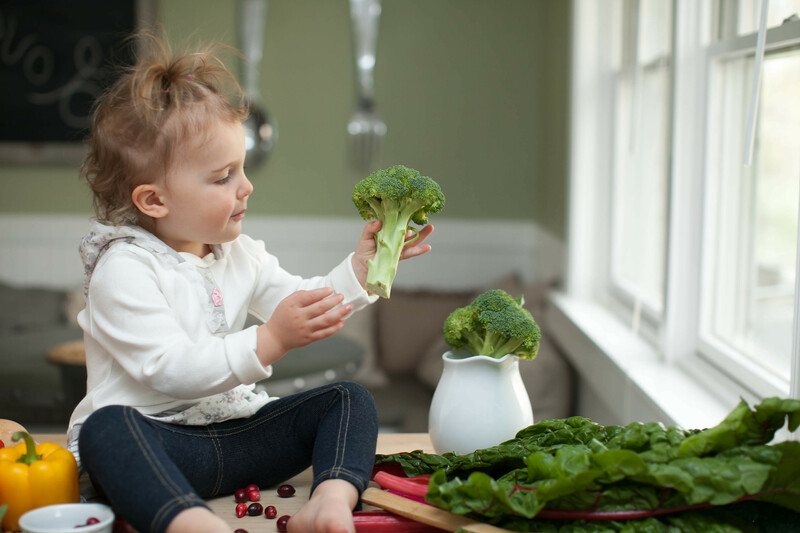 I love this post because it emphasizes a middle ground when it comes to “healthy” foods. Though numbers are growing, I meet so many that don’t understand the “point” of buying organic, when it can be SO much more costly. It’s a starting point-an acceptance-for both those deterred by budget and those that need a little encouragement when it comes to organic produce. Well put Chelsea, thanks for the great comment.